After the round of sickness that swept through school and a few long days traveling by air and automobile, I came down with the inevitable cold. This time of year is hard on the body, and I often struggle with doing my best to take time for myself while all the world around me seems to be going mad. It’s easy to check out, order Indian food, and pledge to cook another day. In all honesty, we’ve been doing a lot more of that than I’d like to admit the past few months. But when a that first chill in the air (and fogginess in the chest) hits, my reset button switches. I pull myself up out of the muck of late summer and get back in the kitchen. An act that, inevitably, feeds much more than the body. 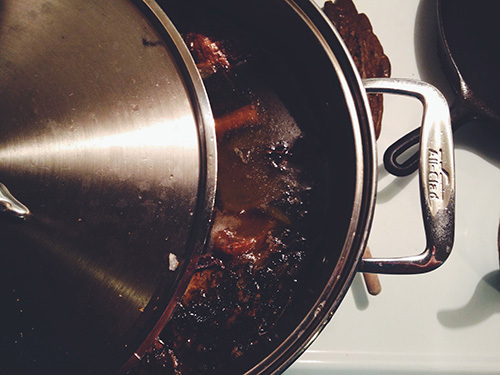 The first thing on the menu this week was a generous batch of bone broth. 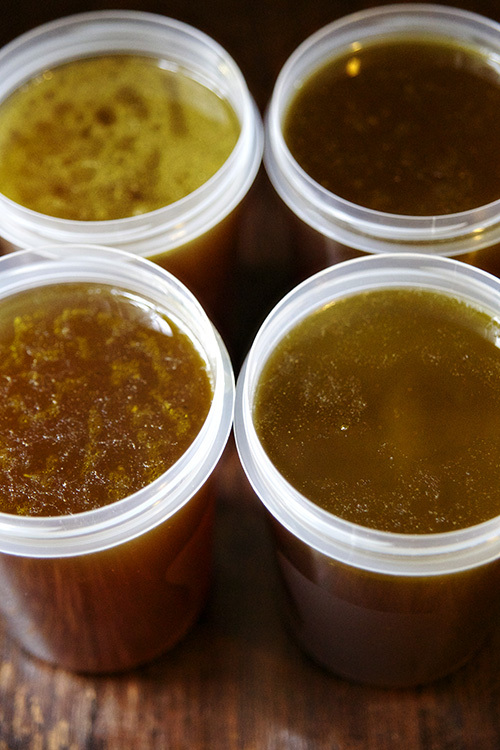 Bone broth, like chicken stock, is a simple combination of vegetables, water, and beef bones, simmered for an extended period of time. 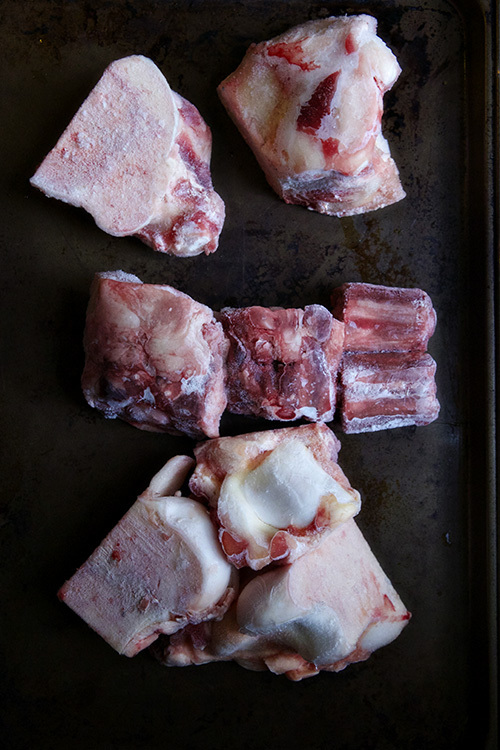 This batch had beef bones (labeled “soup bones” in the butcher’s freezer department of the market), oxtail, potatoes, sweet potatoes, onions, garlic, and carrots. The bones were roasted, the vegetables were chopped, water was added, and the broth simmered for over 24 hours. For the past few months I’ve been lamenting the end of summer, complaining to anyone who would listen that I wasn’t ready for the seasons to change. And I wasn’t. This summer was amazing- full of adventure, excitement, and opportunity. I loved every second of it and I was not willing to let go of long afternoons at the beach or boat rides or saying yes to everything because who cares, it’s summer! Finally, however, this week, I was ready. I got home from another big trip with a cold and a messy house and I just knew it was time. It was time to settle back in for fall. Time for long evenings on the couch with a book and a cup of tea, for pots of soup simmering for hours on end, time for roasts and root vegetables. And when I get sick of all that, it will be time to dream of watermelon again. In a 425F oven, roast bones for 30 minutes. Melt butter in a large soup pot. 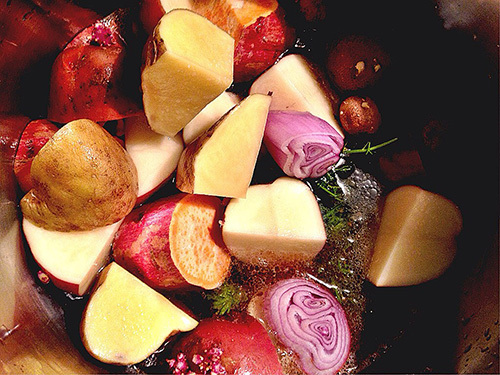 Add bones to the pot, along with onion, garlic, and remaining root vegetables. Fill pot with filtered water. Bring to a boil. Stir well and reduce broth to a simmer. Simmer with the lid on but slightly cracked, for 12-24 hours. Strain and freeze the broth. 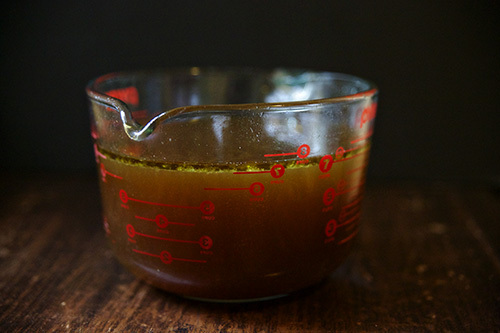 Hooray for Bone Broth! It heals all. Happy Fall!